working on an e-book about the Feingold Diet. that newbies would have about the diet. moms, one at a time. to read like a conversation between two moms. wanted to know where the Quick Start Guide was. choices, which should be all of us. have any ideas on a better title, I’m all ears! much! Hope to have this out on Kindle in August, 2014. See link below. Introduction: What is the Feingold Diet? · Did We Start Out Doing the Diet 100%? I Put All My Kids on the Diet? My Husband Do the Diet? What’s the Deal With Salycilates? 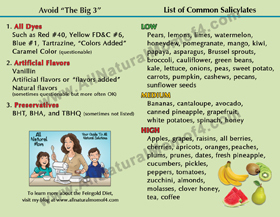 · What in the World Are Salicylates? How Do I Read Labels? Do I Get All This Food? a Feingold Membership Worth the $83? Recipes to Celebrate Each Holiday and Occasion, Without All the Dyes! Chapter 8: Other Options – Homeopathy, NAET, etc. Would love to hear any thoughts! This book is for all you stressed out mamas. For Feingold recipes, visit my recipe blog, All Natural Recipes. and recipes almost daily (link is on home page on the left). out in August, 2014 on Kindle! You are an amazing woman. You have provided more help than you will ever know. The book will be wonderful! Really looking forward to it! Thank you! Thank you so much for doing this! I'm still pretty new to FG but I've shared it with everyone I know so this will be a great resource to share!!! Awesome! That's what I'm hoping for – something that can easily be shared! So hard to explain Feingold thoroughly to other moms in 2 minutes with kids tugging at you all the while. As a newbie to all of this I am very interested in your ebook! I need to read it ASAP! It certainly would answer all he questions I currently have. Really need to know if I need to purchase the plan. Good luck to you and thanks for your blog! Mrs. Shawn – e-mail me at sheridavis27@comcast.net. Maybe you can be a proofreader for me and read the book before it comes out. I'm looking for a couple people to do that, just to get an overall perspective from people who would be my typical audience. Hi Annie. I would love to include your testimonial in my e-book under success stories. If you see this post, send me an e-mail. I would need your permission first. Thanks! I sat down and googled Feingold Diet 2 days ago for the first time. As my curiosity has peaked and my google searched continued, I found your blog. I am glued to it and for the first time, feeling encouraged that perhaps I can give this diet a try! The E-book is exactly what I need to get started! I will be honest, I felt kind of lost in the FD site and am hesitant to invest that much money it to the membership, and am wondering if I need to. 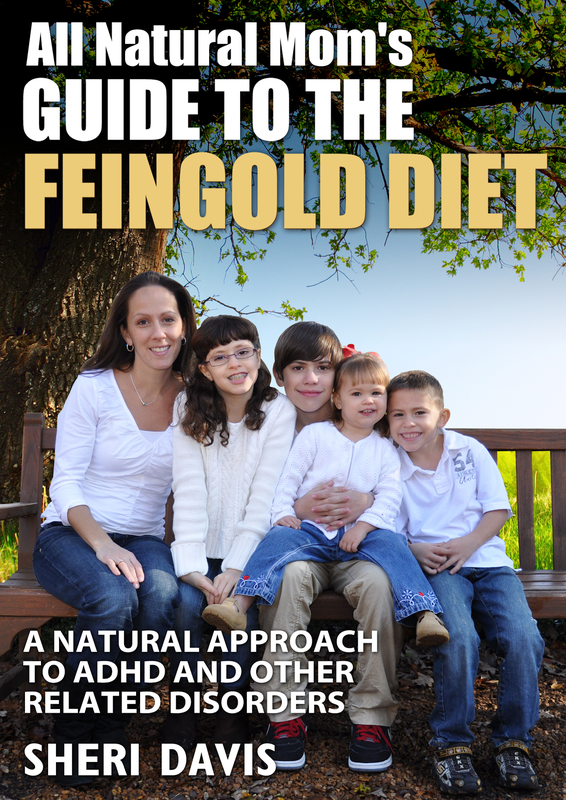 Chapters 4 and 6 are probably where my eyes would go first 🙂 I was looking at your other E-book's and would be highly interested in Beyond The Feingold Diet: Sheri's Guide to Alternative Options for ADHD and Other Behavioral Issues. We have been doing a GF diet here for about 2 years and have been on and off dairy during that time too. I think I need to look more closely at salicylates now and preservatives/additives in our food. Anyway, all this to say I am so glad I found your blog! Thank you for the time you have put in to it and the E-Book to help others. Hi Kristi! Thanks for the feedback! Glad the site is helpful to you. 🙂 Hope to have the e-book done soon! I just wanted to say I am so looking forward to your e-Book. 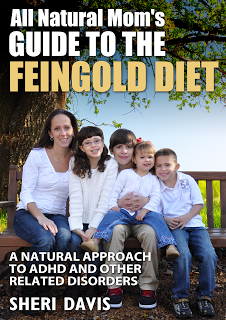 I purchased the Feingold Diet materials about a month or two ago and it is overwhelming to say the least. I'm slowly starting to get the hang of it. After purchasing the material I then started googling everything Feingold….and that is when I came across your blog, and also your FB page. I am a fan of your FB page and check your blog OFTEN. Thank you for all the information that you have listed on both, it has been very helpful to me so far. So with that all being said, I cannot wait to read the e-book that you are working on, and think that the other titles you have come up with are great as well.!! For the newbies, be sure to use the Feingold Association message boards for all of your questions. Your question will be sure to be one that has been asked before. The HelpLine is also something to take advantage of Help@Feingold.org Your question will be answered by the appropriate Feingold staff. FAUS also has a Facebook page and there is a great Yahoo group for members and non members. It is called Feingold Program 4 Us. As a full-time working (outside the home) mom of 2, I am overwhelmed by the thought of getting dinner ready now. Still hoping that any effort (AND MONEY) I put forth is making a huge difference in my daughter's ability to focus and learn. Thank you for all the help and your lists. I've found your blog googling around trying to find information on the Fiengold diet. We are a vegan family and before purchasing the Feingold materials, I'd like to know if I'll actually find food I can eat on there. I was heartened to see things like Daiya and Earth Balance on your shopping list. 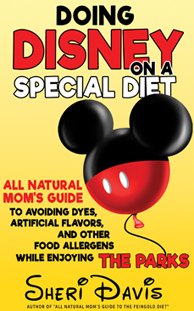 We eliminated food dyes a few years ago but it no longer seems to be enough, so I'm back to wondering if Feingold would help us. Also, we're in Canada and don't have access to all the same brands (not that we purchase much in the way of processed food to start with). Do you know if Feingold is worth it given we're vegans and in Canada? Hi Chloe. Canada shouldn't be a problem. Feingold has a shopping guide for Canada. We are GFCF. I just watched the movie, Vegucated last night about the vegan diet. Very interesting! I would love to go vegan. We eat too much meat. I did see on the video, they were showing how Oreos and some other FG no-no's were vegan. Yes, vegan. Loaded with artificials and preservatives? Yes. Depends if you are eating a lot of processed foods or not. You are probably eating a lot of stage 2 fruits I'm guessing. I've found it's hard to do multiple diets but we manage. Are you dealing with any ADHD issues? I think FG is a good diet for everyone, no matter what diet they are doing. It's kind of the base/foundation to any get well plan. You need to avoid preservatives and artificials to really be eating healthy. What kinds of processed foods do you eat? Maybe we could start there. Even if you make a lot of your own foods, you are probably still eating out some and using ingredients that may not be FG approved and definitely eating some stage 2 foods I'm sure. Tomatoes are in a lot of my recipes, which is stage 2. We do limited stage 2 but I know from doing the first 6 week elmination of stage 2 foods which fruits/stage 2 foods my kids really react to badly so some of those we avoid completely like apple juice, grapes, strawberries, etc. I like to say: it's not because it's vegan that it's healthy! French fries, Oreos and Twizzler candies are vegan. There are definitely junk food vegans out there. We became vegan after I read the China Study three years ago. Although we started for our health, we're staying vegans for compassionate reasons. We had already given up dairy and food colouring. My middle child was having really strong reactions to both. His behaviour would change instantly after eating coloured food and his body just didn't seem to be able to digest dairy. We eat mostly a whole food unprocessed diet, making stuff from scratch with lots of legumes, veg, fruit and nuts. We don't normally eat fake meat and eat quite a bit of bread, pasta and rice. I have the China Study book. It's on my to read list. So, to answer your ?, I'm not really sure. Sounds like you have a pretty good diet. Your child may be reacting to the stage 2 fruits though. Almonds are also stage 2, as are raisins and some of the things they use in vegan desserts. I'm sure there are some things in your diet that are not Feingold acceptable, especially fast foods or restaurant food. Even if you're eating 90% unprocessed foods from scratch, that other 10% will throw your son off. Especially if you've already noticed he has an issue with dyes. The salycilates are similar in nature to dyes. So if he reacts to dyes, he likely reacts to sals too. Preservatives might be the biggest thing that you might not notice in your foods b/c it's in a lot of things like juice, cereal, etc. but they don't have to list it in the ingredients b/c they are using it on the packaging. So, yes, I think FG probably would be a good thing to try but not knowing your entire diet, I couldn't say for sure. If you do try it, please let me know if it was helpful for you or not. I'd love to know. Most typical American families today are eating loads of processed foods so I know FG is going to be really helpful. Chloe – Sherri is right, there is a foodlist for Canada and some living near the border also use that region's foodlist. There is also a section in the message boards for those in Canada. But being on Feingold is more than a foodlist. There is a lot education that that goes along with that that is so important and the 100 oage Handbook is such a great resource. Inside the Feingold website http://www.feingold.org, under the Resources link, you can sign up for the monthly free eNewsletter. You'll also receive the Family Fun Pages that is informative too. I stumbbled upon your blog in searching for natural treatments for ADD. My 8 year old daughter has not been officially diagnosed but her teacher is worried and wants to work with her until Feburary before making any final decisions to follow up with our doctor. She is not by any means hyperactive, although my 5 and 2 year old are, but I thought why not get a jump start on research and see what is out there. I am completely opposed to medicating my children unless all else has failed. I for the past few days have been at a loss as what to do. I have heard of the Feingold diet but the cost is holding me back right now so finding your blog has been a light at the end of a tunnel right now. I am really excited to read your e-book. I think this is just what I have been looking for. God bless you for all you are doing to ease the anxiety in all these moms. Thanks Krista! You're doing the right thing by educating yourself. Hope to have my e-book out by the end of the year. Search through some of my Feingold posts and that may help answer some of your questions in the meantime. Good luck! WOW! I just came across your website when browsing for info on the effect of food additives. I have a 5 year old son with high functioning autism and many symptoms of ADD. I am also a pediatric occupational therapist who works with special needs preschoolers. I see theses issues daily! I have heard of the Feingold diet before but have been hesitant to try it and, like many others, have difficulty paying for the membership without really knowing the basics. I look forward to following your blog and reading your e-books to learn more about the foods and restrictions. Any recommendations and information is most welcomed! Thank you for your commitment!!! Hi Tina! Thanks so much! I'm glad my site is helpful. I am also on Facebook talking about how we do FG. 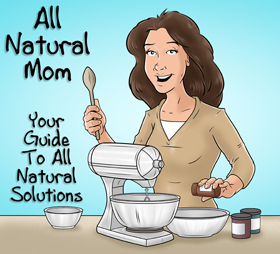 http://www.facebook.com/allnaturalmom. GFCF also helped my daughter who has high functioning autism but the concepts of FG really need to be done as well. do you all have mitochondrial diseases that run in your family, by chance?